eBook readers have a lot advantages over books in a printed paper-form. They are lighter, multiple books can be stored on one device, you don’t need any bookmarks because the reader remembers the page you read last, and so on. 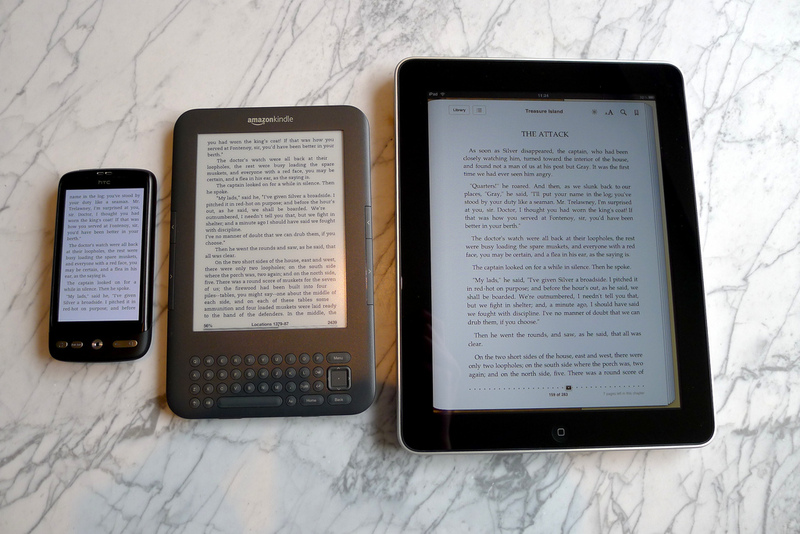 Yet, once you decided that you want to buy an eBook reader, you have quite the variety to choose from. Following, we have listed some of the most popular eBook readers and the different file formats they support. Whether your can open and view PDF documents, MOBI files, or even PNG images on your mobile reading device can help you to choose the right one for you. Unfortunately, not all eBook file types can be opened with Amazon’s Kindle devices. The very common EPUB file, which is used by many other eBook readers, is not supported. The Nook series of eBook readers was developed by and for the American company and book retailer Barnes & Noble. 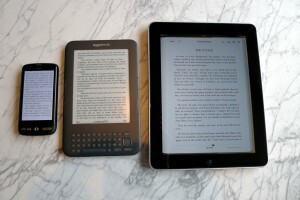 The e-reading devices are based on Android technology, and B&N even offers a service where you can read a Nook Store book for free for one hour per day when connected with the wi-fi connection in the B&N stores. The Nook does not support Amazon’s AZW3 and books stored in the MOBI file format. The built-in MP3 player enables users of the jetBook to listen to music directly on the device while reading. Amazon’s AZW and AZW3 files are not supported by ECTACO’s jetBook. The Kobo Reader does not support Amazon’s AZW and AZW3 files. Thee is a huge list of mobile reading devices developed and going under the name of PocketBook. The brand also produces tablet computers with an Android operating system. Amazon’s AZW and AZW3 files are not supported by PocketBook devices. Now that you read about the file formats supported by the most popular eBook reading devices, it should be a lot easier to make a choice. But even if you encounter an eBook you can not open with the reader you bought, you can still convert your eBook files into a supported file format.